Not to greet a dog can be hard. Greeting a dog is a gut action for most pet lovers. However, most of the individuals do not understand or consider the fact that, if you dont greet a strange dog the right way, things can take a drastic change. Inappropriate greeting strategy can always make the dog fearful and in some cases, turn aggressive. While dogs are usually friendly and forgetful, some are not easygoing. Humans have to foresee this and act accordingly. These are certain do’s and don’ts when it comes to greeting a dog. Rushing up to a cute furry friend is a mistake that most of the people commit. Imagine a stranger rushing up to your baby to greet him/her. This can easily scare your baby. Dogs feel the same when a stranger rushes up to him even if it is to greet. 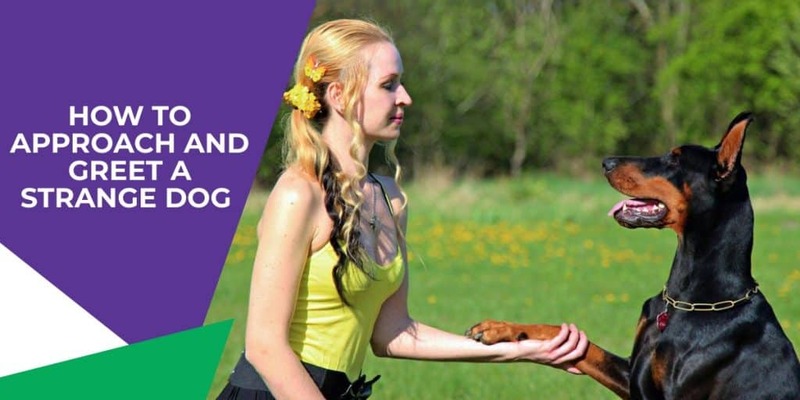 The better approach here is to walk slowly and steadily towards your dog while looking at his body language for any signs of fear or confusion. It is ideal not to make any sort of eye contact with the dog while you are approaching to greet him. Some dogs consider eye contact as a challenge. When you approach such dogs with eye contact, do not be surprised if you are warned with a snarl or a growl. Even if the dog seems to be friendly and approachable, they might have a meltdown when you walk close and loom over them. This is the same as kids who love Disney character getting scared of gigantic size sculptures or balloons. Foresee this factor and try to stay out of the dog’s personal bubble. It is also ideal to approach the dog for the side rather than the front. Another strategy to calm down things between the dog and you, prior to the greeting moment is to address his human first. Avoiding the dog and addressing his human first lets the dog understand that his human is OK with the stranger. This will help the dog to relax. Ask the owner of the dog whether it is OK to greet him and proceed slowly and steadily to greet the pooch. Always remember that all the dogs do not like the same actions or responses from you. For instance, if your dog likes petting him in a specific way, do not try the same with a new dog. This is why observing his body language becomes crucial. Touching some areas, especially the rear or the head portion can be threatening for some dogs. Talking to his human will provide you with some clues on what he likes or dislikes. As a pet lover, it is important to be respectful to the dogs. Do not take their kind heart and forgetful nature for granted. Try adopting all these strategies to make sure that you greet any dog in the right manner creating a pleasant experience for yourself and the pooch.